LIMITED 3 DAY PASSES AVAILABLE FOR ONLY €999! A summary of the 8 city 10 day tour of China in January 2018. Almost £2bn of investor demand was identified and the findings were shared at our London round table discussion. 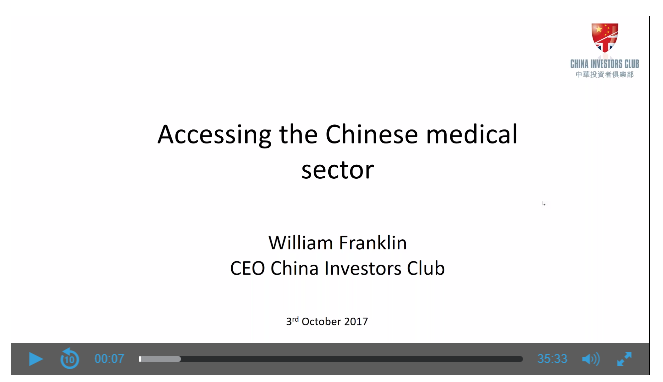 Investment, partnership and licensing are the most common requests made by UK medtech and biotech firms when thinking of China. The China Investors Club (www.chinainvestorsclub.co.uk) has just returned from a business development trip to Shanghai and Taizhou where we showcased a number of UK firms seeking access to the Chinese market. More small business owners are looking to China than ever before. Unravelling mysteries of the Orient can be achieved by reading first hand accounts of those that have been there before. Starting in Beijing, this first volume takes you from your initial planning through to landing in Beijing and heading to your first meeting.